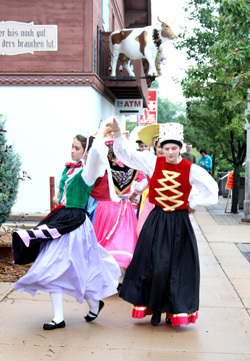 In addition to all the music, food, dance and fun found at New Glarus festivals and historic attractions, we have plenty of family-friendly options for an enjoyable—and active—getaway with your kids. Make sure you check out the Stewart Tunnel on the Badger State Trail (Your kids will be talking about it for weeks. Remember to bring flashlights.) and the Historical Swiss Village for a memorable glance back in time. Your kids will get a kick out of our life-size and cleverly painted New Glarus cow sculptures stationed throughout the village. Can your family find all 15? Please see our Parks page.